When you have suffered needless injury in the course of your employment because of the careless acts of your boss or a co-worker, you have the right to pursue benefits through the New York workers’ compensation system. Benefits include compensation for lost wages and income, for any necessary medical care, and for other financial needs. Here are some fundamental questions about filing a workers’ compensation claim. Q: What are the requirements to qualify to file a workers’ compensation claim? A: To be eligible for workers’ compensation benefits, you must first show that you were injured and that the injury occurred while you were on the job. Once you have suffered an injury, you must complete certain forms and notify your employer within a specified time period. Q: Is my employer required to have workers’ compensation insurance? A: Not necessarily, but the law does require that most employers take specific action to make funds available to compensate employees for work-related injuries. As a general rule, all for-profit businesses must either have a valid policy of workers’ compensation insurance, or must be approved by the State of New York to be self-insured (meaning they will pay workers’ compensation benefits directly). The only for-profit companies that are generally exempt from workers’ compensation laws are sole proprietorships and partnerships without employees, or corporations with less than three shareholders and no employees. Q: What types of benefits can I receive in a workers’ compensation claim? A: If your workers’ compensation claim is approved, you are entitled to benefits for lost wages and income, for any permanent disabilities, all “reasonable and necessary medical care, and vocational rehabilitation, when appropriate. Benefits for lost wages and income are based on your average weekly wage for the last 52 weeks. Your benefits are capped at two-thirds of your average weekly wage, subject to a statutory limit (for injuries sustained between July 1, 2018 and June 30, 2019, the statutory weekly limit is $904.74. Q: What is the procedure for reporting a work-related injury? A: To initiate a workers’ compensation claim, you must first notify your employer. New York workers’ compensation laws require that you do this within 30 days of your injury, and you must do so in writing. It’s really in your best interests, though, to provide notice as soon as possible, as the workers’ compensation insurer will take a dim view of claims that are filed at the last minute. The written notice should include how the accident occurred, the date and time of the accident, and any symptoms you have. To officially initiate a workers’ compensation claim, you must file Form C-3 with the New York Workers’ Compensation Board. That can be done online, by mail, by phone or in person. At Pyrros & Serres, we bring more than half a century of combined workers’ compensation experience to clients throughout Queens and across the greater New York City area. We emphasize personal service and attention, taking the time to learn the specific details of your case, so that we can customize our efforts to get the outcome you seek. 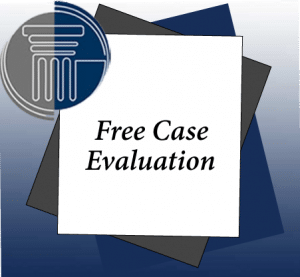 Because of our longstanding record of hard work and success, we receive many of our new cases as referrals from doctors, lawyers and satisfied clients.